Plants of the cloves family are generally called cloves, and they are defoliated arbors or shrubs. Clove flower tubes are thin and long like nails, and the flowers give off a strong fragrance; therefore, the flower gets its Chinese name �香�which means fragrant. The clove family has 32 members, which mainly scatter in the temperate zone of Asia and Southeast Europe. China has 27 original varieties, which can be found everywhere from Northeast China to Southwest China with Mount Qinling as the center. So we could say that China is the center of the clove family. At present, cloves are widely planted in all over the world, and the number of varieties totals to more than 1000. The most commonly seen cloves include Himalayan Cloves, Blue Cloves, Beijing Cloves and European Cloves, etc. China has such a long-standing history for more than 2000 years for the plantation of cloves according to the investigation. The time of planting cloves in foreign countries is quite late. For example, Austria began to plant cloves in 1563, and France began in 1777; besides, they mainly planted cloves originated in Europe. Until about 1620, the cloves originated in China began to be introduced into Europe through the Road of Silk. Afterwards, other cloves originated in China were introduced into Western countries one after another. They were widely planted in gardens and the crossbreeding research work began to be conducted. Cloves have a mass of branches and leaves; they are full of vitality and are cold resistant. Their flowers are big and numerous. When in full blossom, they look like a mass of colorful silks or brocades. In addition, they have strong aromas, which are quite refreshing. Cloves have many colors for they have many varieties: purple, red, light purple, blue, and white, etc. 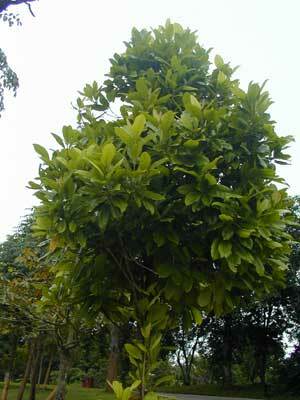 Since cloves are easy for planting and have very good ornamental effects, they are widely planted in gardens. Nowadays, they have become famous flowers for gardening. Besides, cloves are also a kind of rare perfume and medicine, and have very high economic values. Perfume oil distilled from clove flowers can be used as the concocting ingredient for making foodstuffs and cigarettes; they are also major materials for making high-rank cosmetics as well as necessary anodyne for making dental medicine. The part on cloves for commercial use is its bud, which can be collected twice a year. Tanzania has a small island in the Indian Ocean. There are more than 3.6 million cloves plants on this small island with an area of no more than 980 square kilometers. The island is really worthy of its name -- �the island of cloves�, and it is also praised as the most fragrant place in the world. Together with the one million individual clove plants on its sister island � Zanzibar Island, their clove output accounts for 80% of the total clove products sold on the world market. The output value of cloves accounts for 96% of the total local government revenue. Therefore, the local folks regard clove trees as �a ready source of money�. Because of this, Tanzania selects clove as her national flower. Though the cloves of Tanzania are fragrant and perfume oil can also be distilled from them, they are a kind of evergreen arbor instead of the same kind of cloves originated in China according to the appraisal of botanical workers. The original place of Tanzania cloves is the Indonesia; therefore, the Chinese people often call them �foreign cloves�.